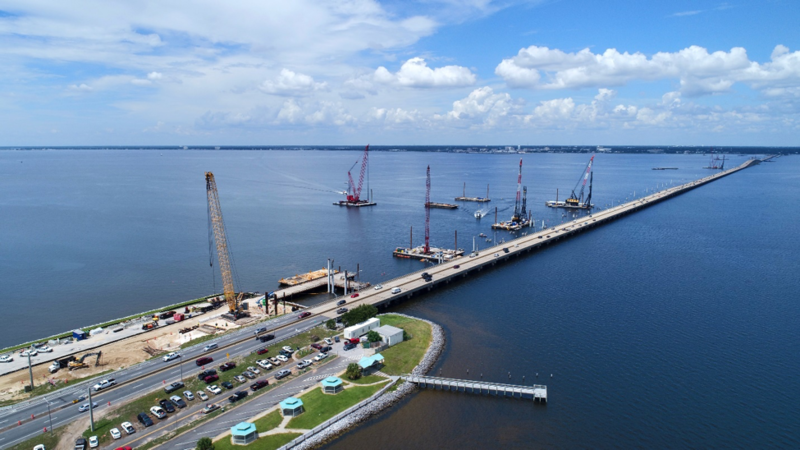 Barges, cranes and other equipment used in construction of the new Pensacola Bay Bridge will be moved to “safe haven” beginning today. 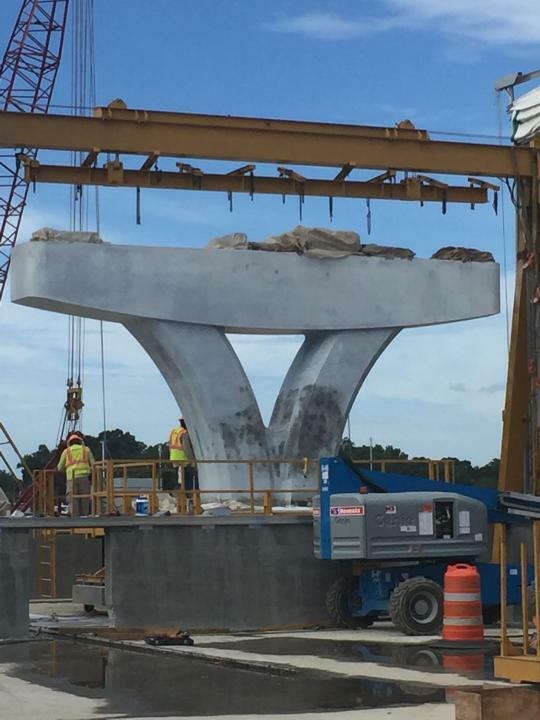 The first trophy piece for the new Pensacola Bay Bridge is complete. Others are being fabricated at the Bayou Chico casting facility. 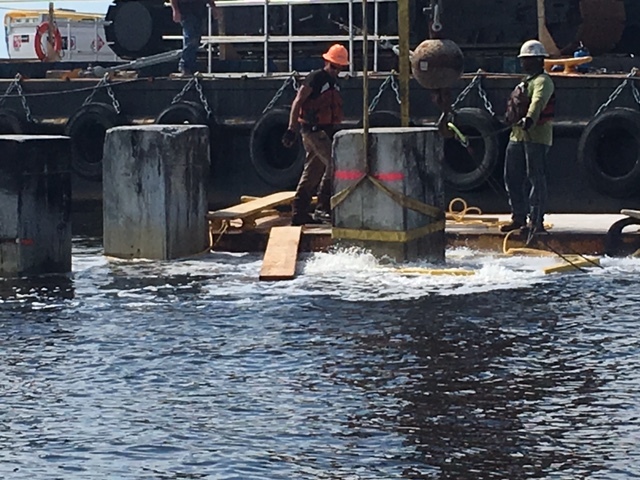 Work is underway to trim the concrete piles driven on the west side of the Pensacola Bay Bridge. The piles are being trimmed at, or near the water line in advance of topping them with massive concrete components informally known as a trophy pieces because their resemblance to a trophy or award.